"Can't you feel 'em circlin'? 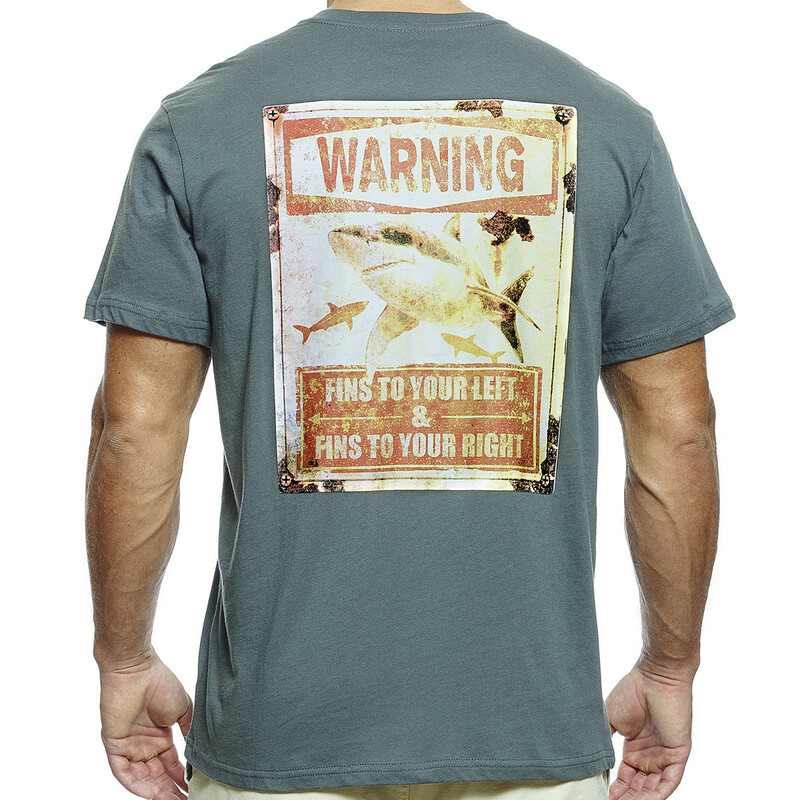 Can't you feel 'em swimmin' around?" 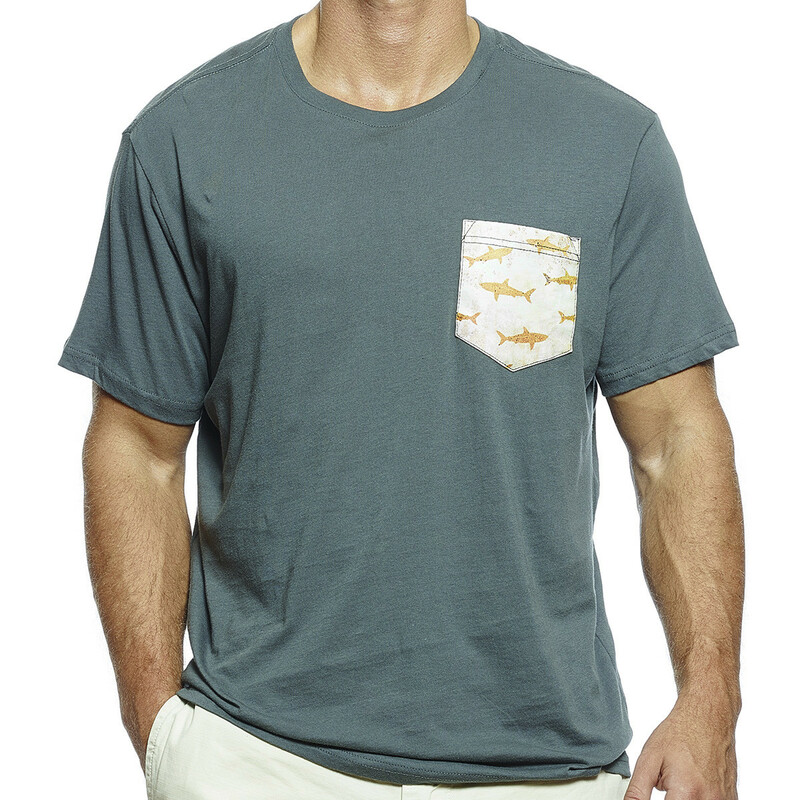 You'll have "Fins to the left and Fins to the right" in this cool shark print pocket tee.